Casey Winters, growth advisor in residence at Greylock Partners, has made a career of doing just that. At Greylock, Casey parachutes into portfolio companies to help guide their growth strategies. He was previously at Pinterest, where he was the product lead for the growth team and helped the company reach 150 million monthly active users. And going back, Casey was the first marketing hire at GrubHub, where – and you may be noticing a pattern – he played an integral role in growing the customer base from 30 thousand to 3 million. I hosted Casey on our podcast to learn more about when a startup is ready for a dedicated growth team, the problems they should tackle first, user onboarding strategies, and much more. If you enjoy the conversation check out more episodes of our podcast. You can subscribe on iTunes or grab the RSS feed in your player of choice. Below is a lightly edited transcript of the conversation. Adam: Casey, welcome to the show. Could you briefly give us the Cliffsnotes of your career to date and how you got to where you are today? Casey: I actually started my career as a marketing analyst at Apartments.com in Chicago. That was a great way to learn how tech companies actually grow, which is very different from what I learned about in school. I went from being an analyst to actually working on online marketing and growth techniques, and went to a sister company of Apartments.com, called HomeFinder, and basically set up all the online marketing and analytics pre-launch. From there I joined Grubhub after their series A as the first marketing hire. I built out all the acquisition and retention marketing and a lot of what we now call “growth”. I arrived when we were around 30,000 users and left at about three million users, six months before IPO. Then I joined Pinterest. I started on the marketing team, moved to the product team, and eventually became a product lead for the growth team. Stayed there for three years. I was there from 40 million active users to 150 million. never really done before. Essentially, I help the portfolio companies with their growth strategies. Every company has growth challenges, so I get in there and try to figure out what’s happening, and how I can add value, so they can grow more sustainably. Adam: What was it about that challenge that made you want to sort of leave high growth companies, and work more with earlier stage startups? Casey: Pinterest was the largest company I’d ever been with when I left. I joined around 200 people, and it was more than 1,000 when I left. I’ve always been in these earlier mid-stage companies, and it was feeling more like a really large company. I was also there for a tour of duty, which was essentially to make international growth happen for Pinterest. We had largely accomplished that, and I didn’t really have a next big challenge to accomplish there, so it felt like a good time to think about going back to earlier stage things, which is my sweet spot. When is your startup ready for growth? Adam: When everyone’s job at a company, from engineering to marketing, is to grow the company, how exactly do we define the mission of a growth team? Casey: Fundamentally at a tech company there are three things you can work on. You can work on creating new value, improving on the value you’ve already created, or connecting more people to the existing value that’s already been created. Growth does the third. That can be acquiring more users into the product, but most of the time, it’s actually reducing friction that prevents people from experiencing the value that’s already been created. Adam: Do many of the portfolio companies you work with at Greylock already have growth teams in place, or are you helping them build those teams? Casey: It’s a mix depending on the stage. The seed companies usually don’t. The ones that are much further along, like 100 employees, usually have something or they are starting it for the first time. You don’t want to be working on growth if you’re trying to figure out what the product is. So, if they do have a growth team, and they’re like 10 people, I’m saying, “Wait a minute. Do you have a product that works yet? Let’s talk about this.” Most of the time it’s people with a small growth team and they’re trying to figure out how to make sure it actually works, how to make sure it actually adds value, or they’re thinking about creating it for the first time. Adam: When is a startup ready to invest in and build out a growth team? What are the signs that they’re looking for? 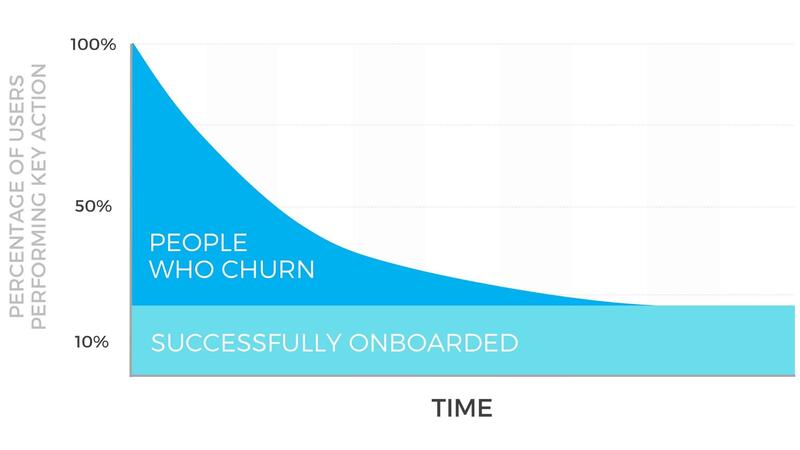 Once you have product/market fit, start thinking about a growth team. Casey: If you’re a founder and what keeps you up at night has shifted from, “How do I create something that’s valuable?” to “How do I find more customers for this thing that I already found out is valuable to another set of customers”. That’s the shift from “I need to be working entirely on creating value” to “I need to be working on connecting more people to this value I’ve created.” That’s when you want to create a growth team. Another way of saying that is once you have product/market fit, start thinking about a growth team. Adam: What does product/market fit mean to you? I know you’re a fan of Brian Balfour’s cohort model. Casey: There’s a couple things that I think about. One is exactly what Brian has illustrated in some of his posts: You have a group of users that have come in. You watch how they use the product over time. And, if over a long period of time, some of them have stuck with the product and continue to use it regularly, that’s an indication of product/market fit. The addition I would make to that it doesn’t just represent usage, it actually represents value created to the company. If you’re charging for that product, that graph represents a lifetime value of a customer. In order to truly have product/market fit, you need to be able to grow the size of your user base with that lifetime value. Let’s say your cohort flattens out and it creates a lifetime value of $50 on average, but your paid acquisition cost is a $100/user and paid acquisition’s the primary channel you’re going to use to grow. That indicates you do not have product/market fit until you either drop the CPA to $50 or you raise the lifetime value to $100. Adam: When you’re building a growth team do you need all the pieces in place right away? Do you need a dedicated project manager, dedicated design resources, dedicated engineering resources? Can you borrow from other places in the company, or does that present issues? Functionally, all you really need is a designer and an engineer to go sit together away from everyone else, and pick a key problem that’s preventing you from growing faster. A PM or an analyst is nice to haves. The designer might be able to play PM for a while. The engineer might be able to play analyst. Eventually they’re going to get busy and you’ll want to need to add those roles. Adam: What problems do you think a growth team should prioritize first? Is it smarter to start with big problems, or do you need the momentum of smaller changes? Casey: You need to go after big problems. Growth teams are usually treated with a healthy dose of skepticism by the rest of the company, so you need to show that you’re adding value to the actual company, and you need to put points on the board that the entire company can see. That doesn’t necessarily mean you start on the hardest problems. You want to find an easy problem to solve that has high impact for the business, and hopefully with a very high iteration cycle, because growth needs to run a lot of experiments to learn. When you’re starting a growth team there are three areas that usually will add a lot of impact. Conversion is a big area. It’s got a high iteration cycle. You’re usually iterating on a large volume of users, because it’s every person that comes to the website. Onboarding is another. It has the highest long-term impact to growth in terms of activation rate leading to higher retention rate. But, it has a low iteration cycle, because you have to track the user for a long period of time to see if they’re actually adding value to the business. The third one is increasing your K-factor. If you’re making the product more viral, and you’re getting more users for free, then that’s another area where you have a pretty high iteration cycle. Usually those experiments don’t take a long time to do, but they can have a pretty big impact. There are other areas of growth you will eventually work on, but those are the three that definitely have high impact, and then two of the three are actually low iteration cycles and are not as complicated to work on. Adam: Can you share some successful examples of tackling these areas, whether it be at Grubhub, Pinterest or your time at Greylock? Casey: When I switched from marketing to product at Pinterest, they actually made me the SEO PM. But when we started looking at the data as a team, we saw we were actually getting quite a few visits from SEO, but the conversion rate was really bad. We said, “Screw SEO. Let’s actually work on the conversion rate for SEO traffic.” We did a two-day project, where as people came from Google, they would scroll down, and instead of just letting them see all the images forever – and not asking them to sign up – we stopped them after a while, and said, “Sign up.” If they clicked on a pin, we also stopped them, and asked them to sign up. It took two days to implement, and we saw 50% improvement in conversion rate just through gating that. Tell people there’s a product to sign up for and it turns out some people will sign up. There was no decrease in activation rates, so all of a sudden we were getting a lot more users, and they were retaining, because the product was good. Adam: Looking at the natural world, outside of software, is there anything we could draw inspiration from when it comes to tackling growth? Casey: Absolutely. At Grubhub we looked at how other companies grew online and offline. We had a bunch of people that go to restaurants who are going to be on Grubhub. We figured out a value exchange with the restaurant, where they could actually use some of their real estate to tell people to go to Grubhub to order food. That ended up being a very large channel for us. Just offline signs, or offline promotions, worked really well in growing the business. We were researching virality for Pinterest, and we deliberately asked, “What are the forms of virality prior to the internet, and why did those businesses grow?” We talked about Christianity. Why did Christianity spread so fast? It’s because part of the value of being Christian is that you have to share the experience with others. Things like that helped us understand where good ideas might come from. Today, let’s talk about fidget spinners. Those went from zero to everywhere in weeks. We also looked at the historical viral toys. How did they get big so quickly? And for any high growth offline companies, how are they able to reach people? And what are the core components that we could possibly leverage for our product? 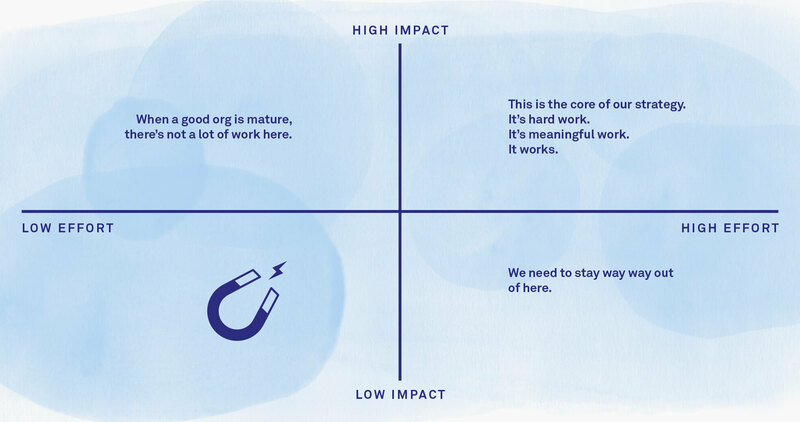 Adam: You have very similar views on onboarding as we do at Intercom – that it’s not just about signups or downloads; it’s about getting people to come back again and again, because they’ve found value and reached that aha moment in your product. You’ve got two measures for deciding how to focus on onboarding. One is the frequency target, and the other one is the key action. How does a startup, particularly when you have users who derive value in different ways from a product, go about pinpointing what those should be? Casey: For frequency, I always try to figure answer, “What is the offline analog to this product?” For Grubhub it was calling a restaurant on the phone and ordering food. We researched how often people did that. People were doing it once or twice a month on average. So, we decided our frequency target, at first, should be monthly. For Pinterest, it was very similar. 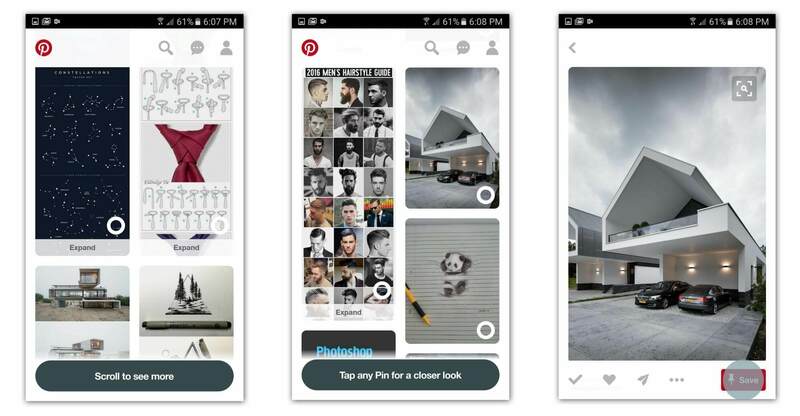 What is the offline action that Pinterest is replacing? The closest thing is browsing a magazine, which are monthly subscriptions. So, it’s probably a monthly thing here. Long term, you want to increase the consumption from whatever the offline analog is, but to start you want to understand what the baseline is that you’re trying to replace. That can be an online product as well, but in those two cases we were really trying to replace what people were doing offline. The key action is a little harder. What is something someone does in your product that indicates they receive value? For Grubhub that’s pretty easy, – they have to transact to get value, so that’s the key metric. For Pinterest, it was a little bit harder. There are multiple ways that people can get value. They can just browse a bunch of images and think that’s valuable. They can save things, and find if they save something, we showed them something valuable to them. Or, they can click to the source of the content. We looked at those three things. Read more here about how Casey defines successful onboarding. Clicks can be gained by clickbait. It’s hard to understand if people are scrolling through a lot of images because they like seeing them all, or if it’s cause they can’t find what they want, so they continue going. So re-pin, the save functionality, was the easiest to understand that the person definitely is receiving value. And it correlated the best with long-term retention. Then you have to test that hypothesis. If you push people toward saving things, do they actually retain better? Our first experiment was forcing everyone to re-pin. That did not work. The second set of experiments was around educating people on how to re-pin, and the value of a re-pin, and that did actually increase the activation and retention for the business. Adam: With a discover tool like Pinterest, or productivity tool like a Trello, you have to paint a picture for people of how to use the product, so they’re not just staring at a blank page, wondering what to do next, and then leave and never come back. How do you strike a balance between showing people value as quickly as possible, but then also not creating so many steps that it weighs the user down, and you lose them along the way? Casey: My basic philosophy here is that you want to get the person to product value as fast as possible, but not faster. What I mean by that is if you need to understand something about the person to be able to show them value, ask for that, but don’t ask for a ton of things that you may not use, before you show them the product. Then they might drop off the product before they even see what the real product is. You want to get the person to product value as fast as possible, but not faster. For Pinterest, we need to know what you’re interested in to be able to show you value, because the goal of the product is to show you things that you’re interested in and then get you to do those things in real life. First, we asked you to follow people that share your interests, and then you would see what things they’re pinning. Eventually we switched to, “What topics do you care about? We’ll show you the best content in those topics.” That worked pretty well. Pinterest is always seeing if there’s a better way to do that, to connect people to the value even faster. We tried things where it’s like, “You picked that topic? Here are a bunch of subtopics. Pick from these.” That added too much friction to getting to the value. We tried going deeper, but it was too much friction and it didn’t work. For Grubhub, it didn’t need onboarding at all. You search, you see a bunch of menus. It’s pretty clear. There’s basically no education at all. You just go. If you have a product like that, that’s great. You can skip this entire part of the funnel. But for Pinterest, it was the most important part of growing the business. Casey: The most common problem I see is that I sign up for a product and it just dumps me into something that’s empty, and I have no idea what to do. The empty state, or the cold start, is a huge problem. I feel like I’m an expert in this, and I don’t know what to do. How is the average user going to know what to do here? The other thing that unnerves me is when I get a book to read in front of the product. I just want to get into the product, and have you contextually educate me on what I need to care about at this particular moment, not tell me in 10 screens, which, by the way, most people are skipping through as fast as possible. I prefer the in-product, contextual education more than a user manual before I even see the product. Contextual in-product education was a key part of the onboarding strategy at Pinterest. Read more about it here. Adam: A lot of our listeners are very early stage companies. We talked about starting a growth team, and getting your onboarding right. How often should they be revisiting their onboarding? Should you just constantly be re-signing up for your own product? Casey: There’s a couple things there. In an early stage, if you’ve gotten to the place where you built in the early growth team, that growth team should be focusing on one thing at a time. At certain times, it’s going to be onboarding. At other times it’s not. Usually those are three to six month periods, where you’re like, “We’re focused on onboarding. We’re focused on conversion.” What you don’t want to do is like, “Hey, we have five engineers on growth and they’re working on five separate areas of the funnel.” That usually does not have the type of impact you want. You want to take a look at your funnel, realize where the biggest opportunities are, and say, “We’re going to focus on just the biggest one. Everything else we’ll revisit in three to six months.” In some cases you have a very long onboarding sprint. Some cases might be a very long conversion sprint, referral sprint, etc. Despite that you might not be working on the thing right now, you do want to be signing up for your product all the time. You learn a lot of things by signing up in different use cases, different formats and on different devices. You usually see a lot of bugs. You see a lot of things that don’t make sense. Even if you’re not going to work on them immediately, you can write them down and log them for later. Adam: That’s different than assuming that you are your own product’s customer, right? Casey: Absolutely. I have a blog post on this, and it’s a common problem I see. You talk to a person at the startup and hear, “When I do this, this is the way that I do it.” But you’re not the customer. I don’t care how much you look like the customer, you have way too much knowledge about this problem to assume that the way you do it is the way other people will do it. Do a lot of qualitative research to get something in front of potential customers. Put a phone in front of them, and then say, “Sign up for this thing” and watch what they do. Ask them questions. You can’t learn if you’re not putting product in front of users. I spent most of 2015 traveling to different countries to watch people sign up for Pinterest. It was horrifying. Everyone was confused. No one understood what the product was for. It was bad. But that time led to a bunch of insights that created a bunch of successful experiments that grew the activation and retention rates of our products. You can’t learn if you’re not putting product in front of users and watching how they do it. Sure, an experiment can tell you what’s going on, but it’s not going to tell you why. You really need to get in front of your user base to understand that. Adam: So much of what we read about onboarding focuses on the first few minutes of usage. Scott Belsky calls it the first mile of the product, which is a great way of branding it. But we’ve got to also keep these people coming back again and again. What retention tactics have you found to be very successful in your experience? Casey: Most of these that I found are very company-specific. Sure, you can send emails and notifications, and that will be a layer of additional retention on top of your product, but it won’t fix broken retention. It’s an optimization play. I can give a few examples of what we found at Grubhub and Pinterest. Adam: People invest all this time into making their copy stand out, but without focusing on the clarity of it. Being simple and straightforward is going to get the user into the product and straight to the value. Casey: I’m a marketing undergrad and a marketing MBA. I love marketing, but at some point, a marketer’s value became based on how clever they were, instead of how clear a communicator they were. I think that’s a very bad direction to go down. Adam: Product, growth, marketing – all these teams touch different aspects of the funnel. How do you advise companies to make sure that a user doesn’t feel your org chart as they go from the marketing site, to the onboarding experience, to then being re-engaged down the line? Casey: Cross-functional teams can solve a part of this, but even if you have cross-functional teams, the user is going to eventually move from one cross-functional team’s area to another cross-functional team’s area. The manager of the people on multiple cross-functional teams needs to be the glue between those experiences. So, if you’re a design manager, and you’re managing designers that are on the website team and the onboarding team, you need to be evaluating what’s going on in both of those teams, and make sure it creates a holistic experience. That’s the primary role of managers in a cross-functional implementation. That totally can work, but everyone needs to understand that’s what the role is. It’s something that, as these teams scale, is frequently a problem. I go through LinkedIn, and you switch from one to another part of the product. It just feels like a totally different design with totally different goals. It feels like two totally different companies. They probably have some gap in their org structure that’s creating this. As you grow companies, you need to constantly be mindful of that. Our design team was pretty good at that at Pinterest. They were more the clear owners of that consistency across the product, but it doesn’t necessarily need to be design. Every manager should make that their role. Adam: Where can our listeners go to read more of what you’re writing and find out more about what you’re up to these days? Casey: I blog at caseyaccidental.com and at Greylock.com. I’m on Twitter. Feel free to reach out. I’m always trying to make sure companies get the best practices from all these different companies distributed everywhere. The more that we can work on growing products the most efficient way, the better everyone is, and the best products will win. I’m always trying to get more of this content out there. I’m not trying to hoard it. So, if there’s any questions you have, feel free to reach out. Adam: Awesome. Thanks again for sharing some of it with us today. Casey: Yeah. Thanks for having me.